Bryn Kosco had a career day for the Oklahoma State Cowboys in the 1988 Big Eight Conference baseball tournament, according to The Associated Press. Kosco did so, The AP wrote, by smacking three doubles in the game, helping the Cowboys beat rival Oklahoma and stay alive. Those three doubles in a game set a conference tournament record, a record that still stands in 2014. Kosco went on from Oklahoma State to move to play college ball at North Carolina State, then the pros. In the pros, Kosco played nine seasons. Kosco, however, never had a career day in the majors. Kosco's pro career began in 1988, taken by the Expos in the eighth round of the draft out of North Carolina State. Kosco went to Oklahoma State out of Poland High School in Poland, Ohio. In high school, Kosco played well enough to be taken by the Astros in the 15th round. At Oklahoma State in 1986, Kosco made the Big Eight All-Tournament Team, helping his club to the College World Series. He singled to help keep one series rally going against Loyola Marymount. He then scored in the game in which Oklahoma State was eliminated. But he only played that one year there. From there, he moved to North Carolina State. He played there in 1987 and 1988, when he was drafted. He made second-team All-ACC his first year, and first-team All-ACC his second. With the Expos, Kosco started at short-season Jamestown. He hit .284 in 63 games. He played 1989 between single-A Rockford and West Palm Beach, hitting .251 between them. 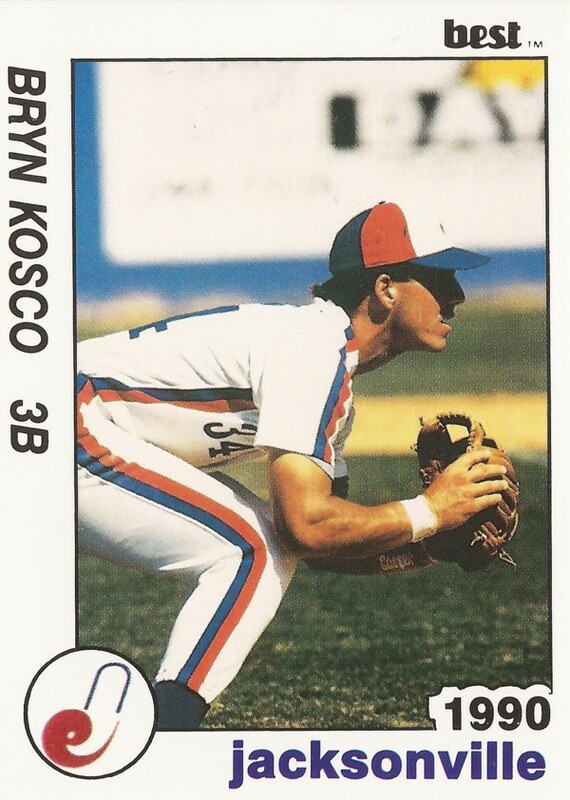 Kosco made AA Jacksonville in 1990, but his season was limited to just 33 games. He returned to AA in both 1991 and 1992, hitting .241 and .229. He hit 10 home runs in 1991, his 10th tying an August game. Kosco moved to the Marlins system and high-A High Desert for 1993. He hit .307 in the lower league, with a career-high 27 home runs. He returned to AA with the Rockies in 1994. He hit .242 that year, with 22 home runs. He went 3 for 4 in a May game, knocking in three. He had another three-hit game in August. 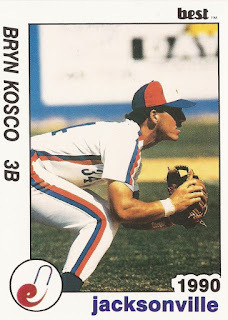 Kosco made AAA for the first time in 1995, playing the year with the Cubs at Iowa. He hit .251, with 15 home runs. He then finished out his career in 1996 with 29 final games.